OxyContin pills arranged for a photo at a pharmacy in Montpelier, Vermont. More than 300 health care experts told the Centers for Disease Control and Prevention Wednesday that the agency’s landmark guidelines for the use of opioids against chronic pain are harming patients who suffer from long-term pain and benefit from the prescription narcotics. “Taken in combination, these actions have led many health care providers to perceive a significant category of vulnerable patients as institutional and professional liabilities to be contained or eliminated, rather than as people needing care,” they said in a letter to the agency. They said patients have endured unnecessary pain, turned to illegal drugs and even committed suicide. The role of opioids for chronic pain has been one of the most contested aspects of the nationwide crackdown on narcotic prescribing that followed the opioid epidemic. The CDC guidelines, issued in 2016, assert that there is little evidence for the use of opioids against pain beyond 12 weeks. But countless patients have claimed that long-term use of the drugs is all that stands between them and unrelenting pain, and that they can take the medication without becoming dependent or addicted. The accumulation of that anecdotal evidence led to the experts, who call themselves Health Professionals for Patients in Pain, to write to the CDC. The National Institutes of Health is studying the issue as part of its Helping to End Addiction Long-term Initiative and last week the Food and Drug Administration ordered drug companies to examine whether opioids are effective against chronic pain. 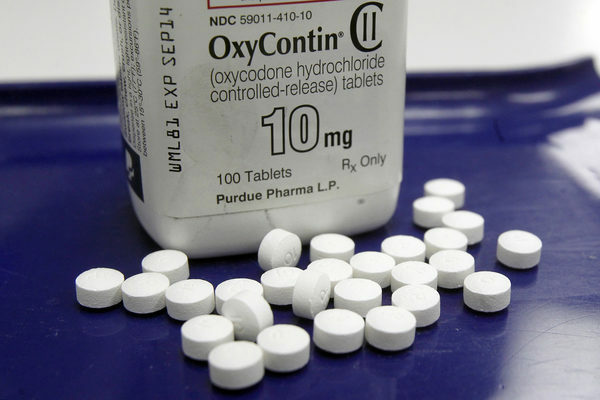 In the meantime, the number of opioid prescriptions issued annually has fallen sharply, from a peak of more than 255 million in 2012 to 191 million in 2017, according to the CDC. Many states have enacted limits on opioid prescribing. Still, 47,600 people died of opioid overdoses in 2017, more than 17,000 of them from legal painkillers such as oxycodone, hydrocodone and methadone. The group called on the CDC to investigate the damage that the limit may be doing to patients and to clarify the guidelines, especially in regard to discontinuing patients’ opioid use.